When you think about the power of the human mind to solve problems, it is difficult to overestimate what impact the discovery of antibiotics have had for the human race. They almost single-handedly rendered many deadly infectious instantly benign (of course until antibiotic misuse exacerbated resistance). While many people know the story of the moldy petri dish, there is a lot more to tell. William Rosen, in Miracle Cure: The Creation of Antibiotics and Modern Medicine, tells that story expertly. 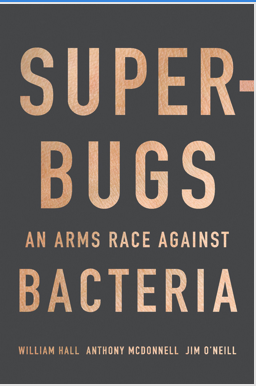 This book, published earlier in the year, spans the entirety of modern medicine using antibiotics as the lens from which to view the field. 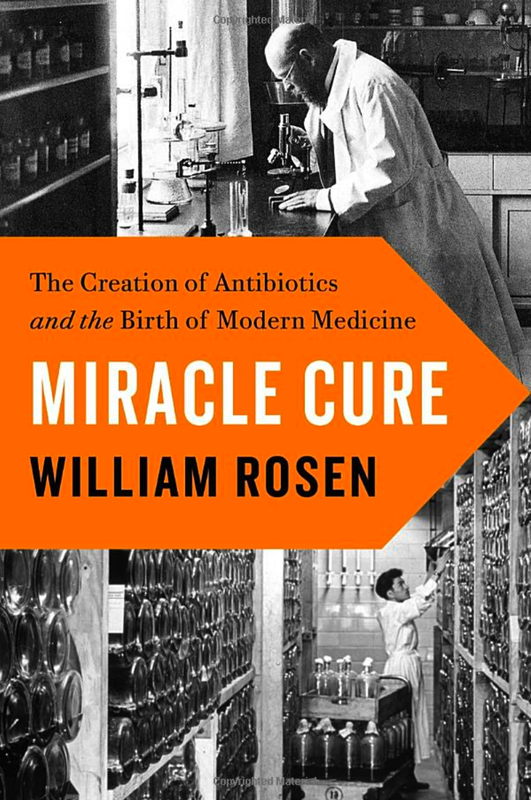 This might seem odd as antibiotics represent only one component of medicine but Rosen shows just how their discovery changed the game. The discovery of antibiotics was scientifically dependent on many antecedent discoveries regarding the causes of disease, microscopy, the theory of the cell, and the search for magic bullets to name but a few. Miracle Cure takes you from contemplating Galen's ideas about the four humors all the way to thinking about aplastic anemia caused by chloramphenicol -- a difficult task the book accomplishes excellently. I highly recommend it to those interested in the history of medicine, the history of the pharmaceutical industry, and the world of infectious diseases. One of my maxims when it comes to antibiotic stewardship is that stand-alone urgent care centers, those unaffiliated with a hospital, engage in a race-to-the-bottom to see just how inappropriate their antibiotic use can be. In an environment where patient "satisfaction" (and not patient clinical outcomes) becomes the currency, any action that pleases the "customer" and results in a repeat visit or goodwill is valued over those that do not have those attributes--irrespective of the veracity of the scientific and medical principles behind it. Walking out of an urgent care center with a prescription for antibiotics has become the new lollipop and is often treated that way by the providers who think of these resources as a parting gift, rather than a scientific achievement that is crucial to civilization. I am writing about this today because one of my friends -- a highly intelligent, assertive, and infectiously snarky nurse with an advanced degree -- related an experience she recently had with the dominant stand-alone urgent care provider in the Pittsburgh area. My friend had symptoms of an upper respiratory infection and, because of her knowledge coupled to a need to be around an immunosuppressed individual, she sought to find out if she was suffering from influenza, might benefit from antiviral treatment, and possibly need to limit her exposure to the immunosuppressed person for fear of passing the infection. Needless to say, her test (which was likely the poorly sensitive rapid influenza test that has vanishingly few uses in light of the arrival of recent CLIA-waived PCR influenza tests that everyone should be using) was negative and, instead of counseling her regarding the limitations of the test and the likelihood with high influenza circulation rates in the area she likely had influenza, an antibiotic was offered. My friend predictably balked at this, and as is her style, drew the physician out and got him to skewer science and push an antibiotic on her (which she refused) because of what he deemed the rate of secondary bacterial infection. His reply to her protestations is even more scarier than the injudicious use of antibiotics he advocated: "I teach this stuff." Suffice it say, she recovered and took no antibiotics. We have a long way to go to properly steward antibiotics and not all patients are as astute as my friend. I realize that I am painting with too broad a brush and there is likely a lot of appropriate prescribing going on in urgent care centers. Additionally, hospital-based providers are in no way immune from injudicious prescribing either. However, placing "patient satisfaction" above justified clinical care in a "have it your way" Burger King healthcare culture, exemplified by many urgent care centers, is something that needs addressing. That last part about Burger King was probably unfair....to Burger King, which practices judicious antibiotic use as it has ceased serving antibiotic-laden chicken.